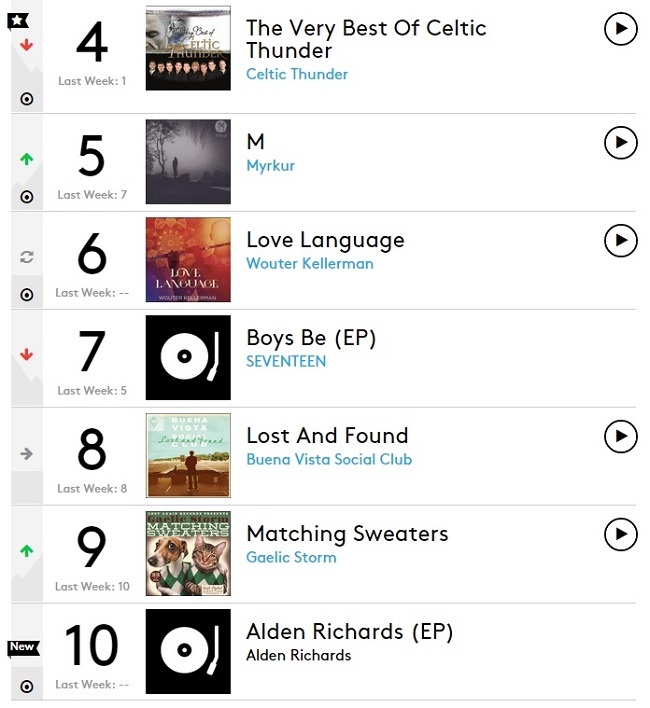 In the same league as super K-pop group GOT7, Swedish rock band Dungen, Danish black metal artist Myrkur, and Grammy-award winning South African flutist Wouter Kellerman, Alden Richards has just entered the Top 10 of the Billboard World Albums charts. The category world albums by Billboard is for non-English musical albums that are making enormous sales in different parts of the world. The website mentioned that the ranking is based on "sales data as compiled by Nielsen Music." Alden has ranked elbow-to-elbow with some of the world's greatest musicians even if he has yet to release his second album, which will include the iTunes smash hit "Wish I May", on October 17. The recognition from Billboard is actually for his first self-titled album which was originally released on May 26, 2013 by Universal Records. 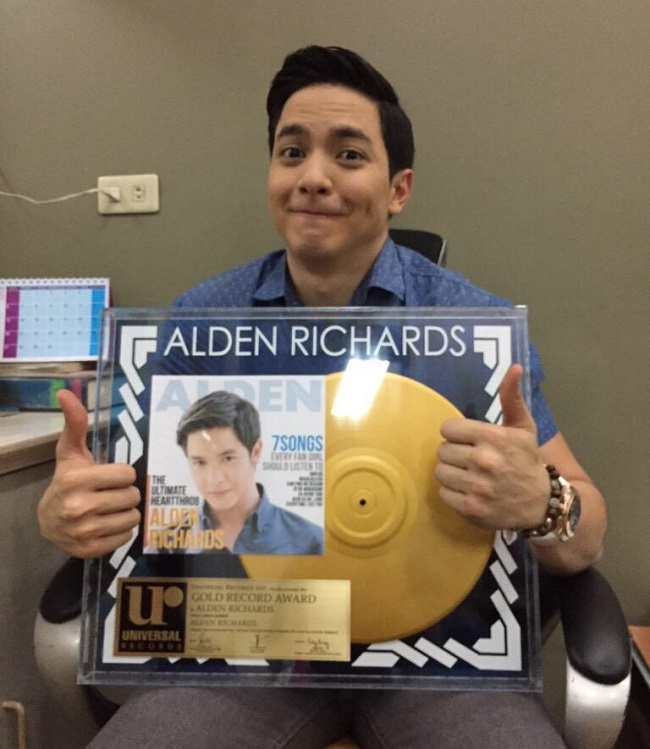 With the phenomenon caused by his involvement in the hit tandem AlDub, the album sales for his 2 year-old album soared anew. The Pambansang Bae's EP or Extended Play recording (a musical recording that contains more music than a single, but is actually too short to qualify as a full studio album) include the song "Haplos" which official video has now almost 1.4 million views on YouTube. It also include his revived songs "Naalala Ka" and "Akin Ka Na Lang". AlDub fans should be more excited since aside from "Wish I May", GMA Records has decided to include the KalyeSerye adapted theme and Bryan White original "God Gave Me You" in the album. You can watch and listen to Alden's emotional version here (Alden's Live Performance "God Gave Me You" on Eat Bulaga). 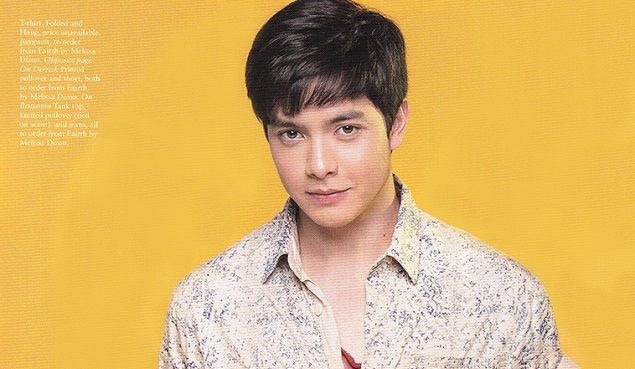 With that and reportedly many more endorsements to come along with an MMFF movie with Vic Sotto, Ai Ai delas Alas and of course, Maine Mendoza, it seems that everything Alden Richards touches turns to gold. AlDub fans should agree. Videos related to Alden Richards.